As the Western Washington weather gets hotter and the Independence Day gatherings of family and friends approach, it becomes increasingly important to be aware of the risk of child drowning incidents around pools and bodies of water. According to the U.S. Consumer Product Safety Commission (CPSC), an average of 26 children each year has died in drowning incidents on the Fourth of July over the past three years in the United States. There has typically been a significant increase in the number of child drowning on this holiday each year, and there are a number of important steps that parents and guardians should take to avoid child accidents in the water. Statistically, the problem has been even more serious over the past couple of years. 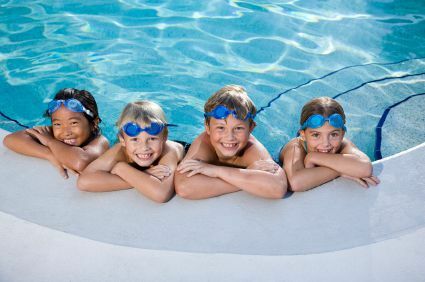 USA Swimming reports that in 2012, 30 pool- or spa- related drowning were reported involving children under the age of 15 throughout the July 4th holiday week. On a yearly basis, the CPSC claims that almost 300 children under the age of five drown in a pool or spa and an additional 5,100 under the age of 15 are admitted to hospital emergency rooms for injuries related to a drowning incident. In regards to statistical averages, all children between the ages of 1 and 3 and African American children between the ages of 5 and 19 are at the highest risk of experiencing a drowning episode, according to the CPSC. The CPSC also runs the Pool Safely campaign, which the organization says is a national education effort aimed at better informing the public about statistics related to pool and spa safety and best practices for preventing injuries and death in these situations. Never leave a child unattended in a pool or spa and always watch your children closely around all bodies of water. Designate a water watcher to supervise children in the pool or spa. This person should not be reading, texting, using a smart phone or otherwise distracted. Adults can take turns being a Water Watcher. Install a four-foot or taller fence around the perimeter of the pool and spa and use self-closing and self-latching gates; ask your neighbors to do the same at their pools. Ensure any pool and spa you use has drain covers that comply with federal standards, and, if you do not know, ask your pool service provider whether your covers are in compliance. If you have a child injury case, contact Davis Law Group.